Anne grew up in Ft. Myers, Florida. She loved gymnastics and competed in the private club sector until early high school. Wanting to be more involved in high school athletics, she transitioned to competition cheerleading. Anne had the opportunity to attend UCA National Cheerleading Competition two times in Orlando, FL representing Ft. Myers High School in the beginning years of competitive cheerleading. Treating gymnasts and cheerleaders continues to be an interest of hers. After high school, Anne attended the University of Florida. She pursued her undergraduate degree in Health Science Education with an emphasis in school health. She was very active on campus and a member of the Alpha Chi Omega Sorority. Anne continues to be an avid Florida Gator Fan! Following her degree from UF, Anne taught school for 1 year. She then went on to Old Dominion University in Norfolk, VA to receive her Master of Science Degree in Physical Therapy in 1991. Since accepting a partial scholarship from Lee Memorial Hospital in Ft. Myers, Anne fulfilled her responsibility in returning to the hospital to work rotations in acute care orthopedics, acute care neurology, extended stay rehabilitation and outpatient orthopedics. It was during these rotations that Anne decided to specialize in outpatient orthopedics. During her childhood, Anne traveled to the Seattle area every summer to visit her extended relatives. She loved the beauty of the Northwest and decided to move to the Seattle in 1994. Since moving to Seattle, Anne has had the opportunity to work alongside many outstanding physical therapists. She began working with professional dancers at Pacific Northwest Ballet in 1995 while working for Boyd Bender, lead PT for PNB. She continues to treat both professional and non-professional dancers as this is one of her specialty areas. Anne has been taking open ballet classes consistently at PNB since 1995. Dance is one of her passions. She loves combining her knowledge of dance and incorporating familiar dance elements in the rehabilitation of dancers. Currently, Anne has become very active in Seattle Pediatrics Sports Medicine under the direction of Dr. Steven Anderson, MD. She helped develop the ACL Injury Prevention Program that is intended for use in recreation, club and school sports teams. She has led instruction to Health Care Professionals and coaches in teaching the program. She has also volunteered many hours teaching the program to both soccer and basketball teams at the club level and high school level. 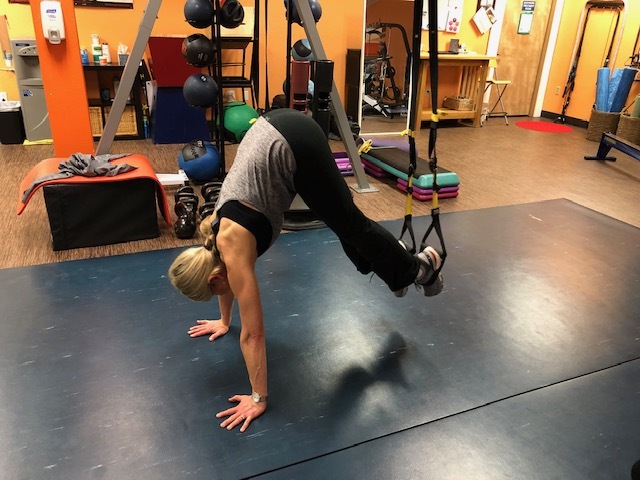 Anne enjoys combining the components of prevention as a health educator, instruction as a former teacher and exercise as a physical therapist to not only promote safety, but to help the athlete become stronger and perform better. Since her daughter plays basketball and soccer, she has attended many games and enjoys working with these athletes as well. Another area of interest includes biomechanics, of which Anne has taken many courses. She considers shoe wear to be a vital part of rehabilitation for most of her patients. It is an important topic of discussion for her runners, walkers and non-athletic patients. She has been volunteering in medical screening nights monthly at Super Jock n’ Jill -Green Lake, since 2001. Anne specializes in orthopedic, sports and dance physical therapy. She has taken numerous continuing education courses in manual therapy techniques, functional exercise, biomechanics, dance medicine and sports rehabilitation. As a former teacher, she believes in educating her patients and involving them in their plan of care to reach their long-term goals. Physical therapy has been a rewarding career as Anne loves to help her patients achieve their best! She enjoys spending time with her husband and two children as well as attending her children’s sporting events and activities. Anne also enjoys taking dance classes, running, day hikes, spending time with friends and going to the beach! She is an active member of Holy Family Church in Kirkland.